The roman God of water springs and flowing waters –Neptune – stands in astrology for the wellspring of creativity in all its possible outward forms. All Neptune connections in the horoscope indicate marked sensitivity, which in the related spheres of life brings special perception and experience of the reality. The Neptune stands also for imagination, the universal human ability, which is a part of the creative competency. The other Neptunian symbolic is also related to the components of a creative process. Its mythological connection with water, which naturally and unstoppable seeks detours when faced with barriers, is a metaphor for a divergent thinking and the capability to follow an idea with an unmethodical, free-flowing and out-of-strictly-rational thinking, in order to find novel connection. Here Neptune symbolizes flexibility and a spontaneous approach to complex schemes. 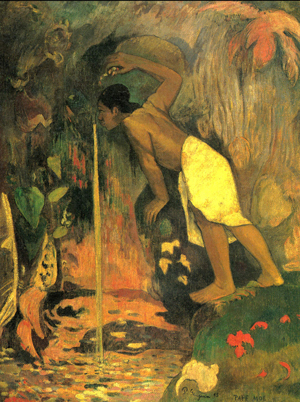 Its image of the God of Water Springs shows vividly Neptuns relation to the subconscious. With an inherent emotional component, the subconscious emerges from the “underground” as intuition and as faith in the “not (yet) manifested”, to guide the actions and give them a quiet persistence. At one end of the Neptunian spectrum we find artists: painters, sculptors, actors, musicians, writers, they all have emphasized sensitivity and special perception that obtains its form in the works of art. In order to give form to the perceived, additional personality traits and abilities are needed, that are reflected in separate astrological pictures. At the other end of the Neptunian perception we find scientists and business people who act directly upon reality (upon the perceived) with the purpose to change it or put it to use. That is why we find strong Neptune in the horoscopes of the conductor Arturo Toscanini and Charles Valentine Alkan who were both living in the heights of artistic inspiration; also in the astrological chart of Louis Pasteur, whose findings played an important role for the humanity, and in the chart of the engineer and long-distance radio-waves inventor Guglielmo Marconi; as well as in the horoscopes of entirely worldly oriented businessmen Warren Buffet und Bill Gates. Even though these occupations are completely different, and even though success in arts, science and business is measured by different standards, this special perception and the creativity are crucial for all. The difference lies within their purpose and application, which can be suggested only by the whole astrological picture in the horoscope.